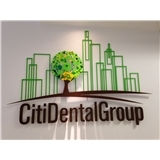 Dental365 CitiDentalGroup (New York) - Book Appointment Online! When you need a Midtown Manhattan dentist with experience, knowledge and a focus on values, you can rely on the extraordinary dental professionals at CitiDentalGroup. Call us to set up your initial consultation and embrace a lifetime of better dental health. We are committed to providing a lifetime of excellent oral care to our patients and strive for relationships based on mutual trust, excellent customer service and the best patient care available. We have integrity. We only recommend treatments for our patients that we would have ourselves. We are focused and present. We only see one patient at a time and do not rush through procedures. We are responsible. We adhere to the highest ADA sterilization. Your safety is our top priority.We treat people not teeth. We measure success on the quality of the relationships we have and the dental care we provide. Excellent dentist, and the whole support staff were very friendly. Dr. Evans was phenomenal, I came in for a filling and he took his time and was very gentle. I would recommend him to all my coworkers in the midtown area looking for a dentist. Honest doc, does not oversell or overcharge. Great "bedside manner". It was a great experience. Everyone was so friendly and gentle! I think i've found my NYC dentist!